An allocation of AZN 223 mln. has been set aside to resolve the problems of refugees and internally displaced persons (IDPs) of Azerbaijan, the Chairman of the State Committee for Work with Refugees and IDPs, Vice Primer of Azerbaijan, Ali Hasanov told a press conference on October 13, Trend reports. Hasanov stressed that AZN 86.6 mln out of these finances have been allocated from the State Budget, AZN 110 mln from the State Oil Company of Azerbaijan and AZN 26 mln from 76 humanitarian organizations. 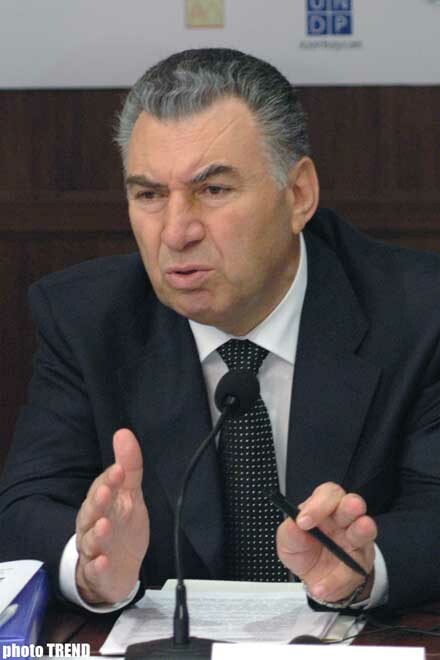 In addition, Hasanov emphasized that the refugees receive contribution totaling AZN 11 mln from Azersun Company. According to him, the State Committee and local executive bodies do not participate in its distribution. As there has been dissatisfaction with the distribution previously, the mediator has been cancelled and the international organizations now support it, Hasanov emphasized.